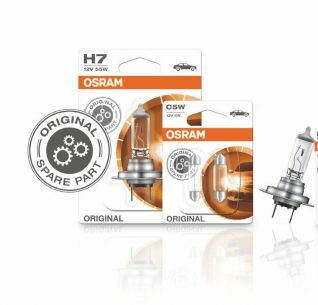 Automotive suppliers Hella and Plastic Omnium are entering into a ‘strategic cooperation’ to develop new integrated front and rear lighting for vehicles. Hella contributes to the collaboration through its competence in automotive lighting technology, while Plastic Omnium brings the expertise in plastics processing for exterior body parts. The plan is to also bundle the corresponding development resources together at one site in Germany. The firms have already been working together successfully for several years as part of the joint venture HBPO. After approval by the antitrust authorities responsible, both companies were transferred to the Swedish wholesaler Mekonomen. Subject to the terms of the transaction, the purchase price amounts to € 395 million. FTZ and Inter-Team employ a total of around 2,500 people. In the last fiscal year 2017/2018 the two wholesalers achieved total sales of around € 500 million. This corresponds to approx. seven percent of HELLA’s group consolidated sales. FTZ and Inter-Team employ a total of around 2,500 people. The two wholesalers achieved total sales of around €480 million in the 2016/2017 financial year. This corresponds to about seven percent of HELLA’s group consolidated sales. 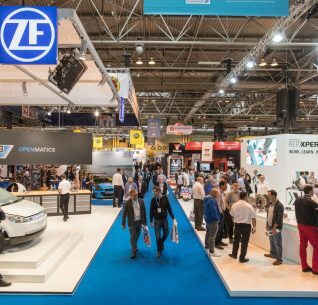 Automechanika Birmingham Event Preview – packed with reasons to attend. 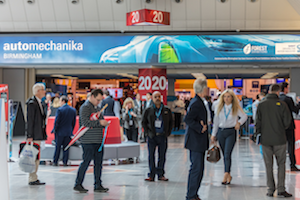 Automechanika Birmingham, leading exhibition for the UK’s automotive industry has launched its Event Preview PACKED with reasons why you need to attend this year’s event. 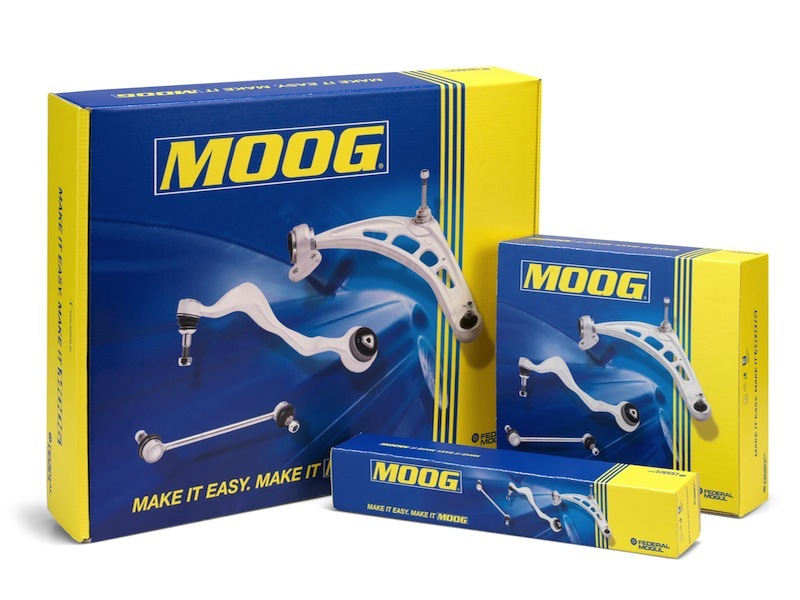 o How will the EU changes impact the future of the MOT? o What’s the latest technology updates for Diagnostics, ADAS calibration and hybrid vehicles? o What effect will connectivity & electrification have on the industry? o How will I meet new suppliers and get better deals from existing ones? Whatever your questions, answers are guaranteed at Automechanika Birmingham, taking place on 5-7 June, NEC, Birmingham. Delphi, HELLA, Liqui Moly, MANN + HUMMEL, Bosch UK, TEXA, Draper Tools, DURA, ITW, ISN, Certas Energy, Snap On, Milwaukee Tools, AA garage guide, Toyota First, Mec-Diesel, EFI Automotive Service, Ceramex, GSF Car Parts, Premier Components UK Ltd, Mac Tools (Stanley Black & Decker), Wurth Electronics, Stanners Equipment, Road Runner, Motor Trade Insurance, EDT Automotive and others. 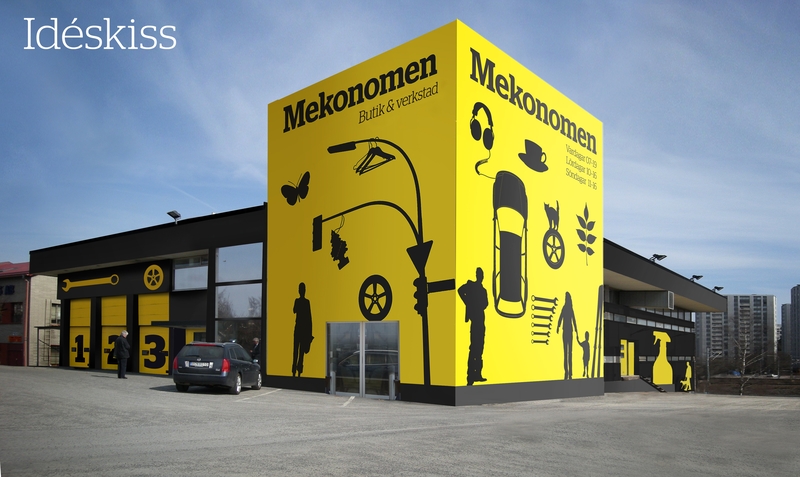 Don’t forget late night opening Wednesday 6 June in the Garage Quarter, provides a perfect place to reconnect with your garage customers and maximise meetings with suppliers. Arrive before 10am and receive a free hot drink and pastry sponsored by Valeo & Castrol UK. Time’s ticking but don’t panic, you can still register free. Why not invite your colleagues too? HELLA, a leading original equipment (OE) manufacturer and system supplier to the global automotive industry, has recently added antibacterial carbon activated cabin filters to the HELLA Hengst range of OE quality filters. 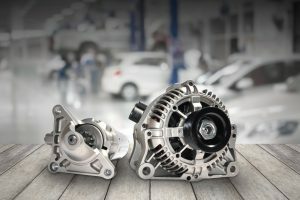 The 38 new-to-range (NTR) references are available for a variety of vehicles, including Ford Focus C-Max, Mercedes Benz A and C class, and Sprinter, as well as Audi A3, A4 and A5. The range also extends to the majority of VW and SEAT models. These additions, which will be available from early 2018, can be easily identified with the letters ‘LB’ marked on the end of the HELLA Hengst part numbers. 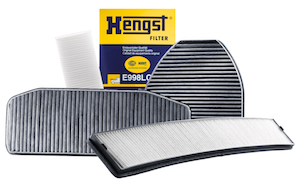 The main difference between the HELLA Hengst carbon activated cabin filter and the new antibacterial version is that while both have excellent odour reduction properties, the latter can also reduce allergy problems caused by contaminants such as bacteria and mould fungi, which enter the passenger compartment through the ventilation system, thus tackling one of the growing issues facing road users by directly addressing the health concerns of vehicle occupants. Today, modern vehicles have cabin filters located in a variety of places and that are sometimes challenging to fit, making it difficult for installers to service or replace them. To further assist technicians, HELLA Hengst provides easy-to-follow installation instructions for all cabin filter types, including their locations, in every product pack. 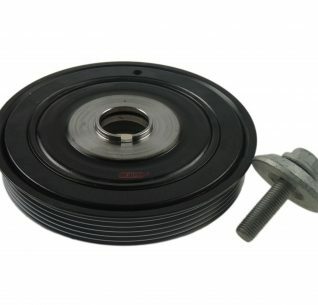 As these additions demonstrate, the HELLA Hengst range is consistently growing and with a complete range of 1,500 premium quality filters across 90,000 applications for passenger cars and light commercial vehicles, the company is showing its commitment to deliver the very best in terms of quality and availability to support the independent aftermarket. AS PART OF growing demand for its vehicle lighting systems, Hella has opened a new production plant in Tianjin, China valued in low-to medium double-digit million euro. 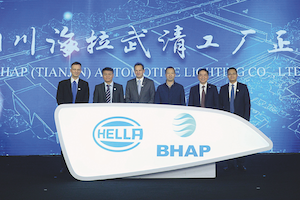 The opening of the site follows a joint venture between Hella and Beijing Hainachuan Automotive Parts Co. Ltd. (BHAP) – a subsidiary of the BAIC Group, which will see both parties collaborate on LED headlamps, rear combination lamps, car body lighting and interior lighting under the newly formed entity, ‘Hella-BHAP’. “Tianjin, where the new factory is located, is of strategic importance to the Chinese automotive industry as many of our key customers are located nearby”, said BHAP General Manager Chen Bao, “Hella is a perfect partner for BHAP, and we join hands to develop the automotive lighting business in this region and provide our clients with the best services and support,” adding that its cooperation will gradually expand into electronics and aftermarket. The new location employs100 staff with plans to extend this number to 250, along with its current site and 12,000 sq m production facility in due course. With CO2 emissions on the rise, how are suppliers preparing workshops accordingly? unless you have your head in the sand, you’ll notice that the tide has turned for emissions and for light diesels in particular. Last month, almost anything registered before 2005 was effectively banned from central London, thanks to the so-called Toxicity Charge. What’s more, these standards are only likely to get tougher, with a diesel emissions check at MOT among many options being mooted by those in power. This isn’t necessarily a bad thing: Everyone wants fresh air and there are a number of products to help clean up diesel engines. 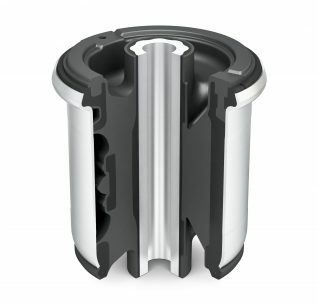 One technology that has kept VMs in line with their objective is Exhaust Gas Temperature Sensors (EGTS), designed to protect components exposed to hot exhaust gases from overheating. 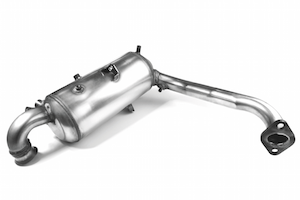 Julian Goulding, UK Marketing Manager at Delphi elaborates, “Exhaust gas temperature sensors play a crucial part in modern vehicles. From Euro 5b, all diesel vehicles had to have EGTS, with each car having up to six sensors, they’ll become an increasingly important service item.” He adds that these parts can and do fail, which is hardly surprising given the hellish temperatures that they endure. However, an EGTS problem is often misdiagnosed. To counter this, Goulding suggests workshops can enrol onto a number of training courses in order to repair these systems confidently. Based at its Warwick Centre, the parts maker hosts various programmes, with training that can also be accessed via its’ digital channels; which provides information on fitting sensors and diagnosing faults successfully. Helen Goldingay, UK Marketing and Communications Manager at Hella, concurs, stating that although most garages are up-to-speed with EGTS, attention on newer technology must be brought to the forefront. She expands, “Due to the growth in use of the micro hybrid (start-stop) systems, intelligent battery sensors, which play a crucial in the battery management function that are part and parcel of the system, are clearly a growth area, as are those directly connected with emission controls, like exhaust gas pressure and air quality sensors. ‘Technicians are aware of the growth in the number of sensors that modern vehicles require, but what is more important than actually knowing every sensor itself, is the ability to identify where a fault lies and have the equipment to reinstate the management system once the component has been changed.” To facilitate this, various web platforms have been launched by the company in recent years. This includes Tech World for technicians as well as Partner World for factors and others in the supply chain. 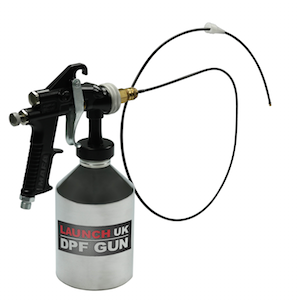 It’s all well and good being able to diagnose faults with these parts, however, carbon build-up on EGR valves, DPF’s and injectors can restrict sensors from detecting problems within the fuel and exhaust system. Carbon build- up or post combustion carbon as it’s otherwise known, is a result of vehicles running in conditions where they can’t reach their full temperature; resulting in heavy quantities of carbon being burnt. As a respected original equipment (OE) manufacturer and systems supplier, HELLA is already at the forefront of automotive technology with its involvement in areas such as ADAS (advance driver assistance systems) and LED lighting solutions. However, unwilling to sit on its laurels, the company is now looking further into the future to redefine the limits of present and future camera evolution. So, as well as current ADAS innovations like lane departure warning systems, which are based on radar sensors that constantly monitor the area behind the car when passing other vehicles or changing lanes, HELLA is developing products that continue to enhance its reputation as a leader in the market. Working alongside independent associated business Brighter AI, HELLA has been increasing the quality of existing camera systems by pushing the boundaries of technology with a cloud-based application that has allowed the development of new safety and comfort-related functions. The solution has already been implemented in the security sector, but can be adapted for automotive applications and uses infrared night photography to create realistic daylight images. In layman terms, the team is developing the technology that will enable the driver to look into the rearview mirror at night and the view reflected will appear to them as if they were driving in daylight, thus solving a basic problem of driving in the dark – limited sight and slower reaction times. Greater illumination of the area around them will significantly increase driver safety as they will be able to see more of the road behind, leading to less accidents and potential fatalities. Currently in its pilot stages, HELLA is confident that the realistic colour image technology will pave the way for further uses in the industry such as optimising camera-based driver assistance systems, as well as applications in aviation and aerospace.